Vermont Senator Bernie Sanders’ nine-hour rant on the Senate floor against maintaining the current tax rates for upper income Americans attracted considerable notice. The essence of his argument was that more successful individuals and small businesses should be taxed more because of government favoritism toward major corporate interests in the Bush/Obama bailouts. Of course, under a true free market such favoritism would not exist. Indeed, the main thrust of Adam Smith’s argument in The Wealth of Nations was against mercantiltist market and trade policies adopted by the governments of his time to promote favored economic interests. Recently, Ralph Nader has even reached out to Tea Party free market conservatives to ally with progressives in opposing these special privileges and benefits accorded to powerful corporate interests. This inspired me to write an article entitled Bernie Sanders – Free Marketeer? which was just published online by The American Thinker. 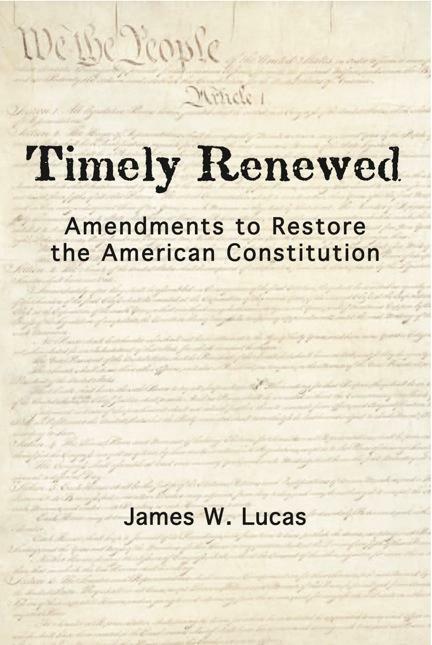 In it, I try to briefly present the extended argument made in chapters 2 and 3 of Timely Renewed, which are both subtitled A Progressive Case for a More Jeffersonian Government. Power attracts power. If government regulates, it is inevitable that the regulated economic interests are going to focus all of their resources on controlling that regulator and turning it to their own uses. The only way for progressives to reduce corporate control of government is to reduce government. Now you may argue that the essence of progressivism is government control. You would be right for many people who style themselves “progressive.” Much of the modern American Left is profoundly elitist. However, I believe this argument is worth making, not because I really think Bernie Sanders is going to become a libertarian, but because for many people ”progressivism” is not inherently about government control. There are many who would style themselves progressive who really are motivated by the desire to give the less advantaged a fair shake. For too long a small elitist minority has convinced these folks that government control was the only way to achieve this. However, the fact is that government control benefits those who control the government, and that is going to be those with economic power. My goal in Timely Renewed is to reach out to the sincere progressives and conservatives who both who despise the crony capitalism that dominates our federal government, and make the case that that freedom (limited government and true free markets) is the real answer to giving the little guy a fair shake.